Cornelia Sorabji, India's first woman lawyer, is today's Google Doodle. She was born on November 15, 1886. Today is her 151st birth anniversary. Cornelia Sorabji, India's first woman lawyer, is today's Google Doodle. She was born on November 15, 1886. Today is her 151st birth anniversary. She broke into a man's world and has many notable firsts to her credit. She was the first woman to graduate from Bombay University, the first woman to study law at Oxford University, the first woman lawyer in India, and also the first woman to practise law in India and Britain. 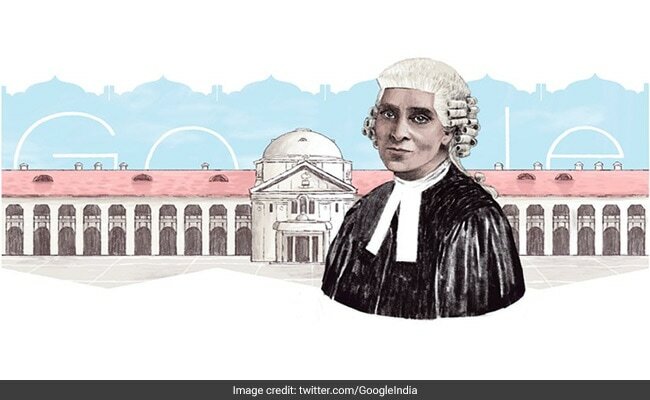 A tweet by Google India honouring Cornelia Sorabji read: "Her vision and grit let her carve her own path towards justice. Celebrating India's first female lawyer, Cornelia Sorabji, on her 151st birth anniversary." She has so many achievements to her name, but they did not come easy. As a woman she had to endure a lot to break into law practice - which was a male bastion. Her struggled helped in opening doors for many women to follow suit. 1. Despite topping in her class in English literature from Bombay University, Cornelia Sorabji was denied a scholarship to study in England, allegedly because of her gender. She had to petition to the National Indian Association to help her complete her studies. After this, some of the noted names - Mary Hobhouse, whose husband Arthur was a member of the Council of India, Adelaide Manning, British writer and editor, Florence Nightingale, English social reformer founder of modern nursing, and Sir William Wedderburn, a Scottish civil servant, came to her aid and funded her education. With their assistance, she was able to get admission in Sommerville College in Oxford University. 2. Life at Oxford too was not easy for Cornelia Sorabji as being the first woman to study law in that University came with its own set of challenges. She was bullied by other men who were not used to female presence around them and they reportedly used to slam the door in her face so that she would miss her lectures. 3. Another painful incident at her college was when her London examiner refused to examine a woman. She had to fight to write her exams and passed it too, but was given poor grades. She graduated in 1892. 4. Cornelia Sorabji worked in a London firm for a year, but to study in Lincoln's Inn library was barred for women. She had to get special permissions just so that she could be allowed to read there. 5. She returned to India in 1894. Practising law in her own country was another hurdle as men ruled this space. Women were not allowed to be barristers at that time and the then Chief Justice in Bombay passed an order telling legal practitioners to not employ a woman. 6. While she could not practice in Bombay presidency, the royals welcomed her to fight cases, but being a woman, she was only given unimportant cases. 7. Cornelia Sorabji did not relent and continued to petition the India Office to provide for a female legal advisor to represent women and minors in provincial courts. 8. Her major breakthrough came after 10 years since she struggled in India, and in 1904, she was appointed the Lady Assistant to the Court of Wards of Bengal. She started to work in the provinces of Bengal, Bihar, Orissa and Assam. It is estimated that in her next 20 years of service, Cornelia Sorabji helped over 600 women and children. 9. Her fight to have women representation in law finally paid off in 1924 when the legal profession was opened to women in India. Cornelia Sorabji began to practice in Kolkata, hence becoming the first woman to practice law in India, and in Britain. 10. Cornelia Sorabji championed the cause of education for women and also worked as a lawyer, for purdanashins, women who were forbidden to communicate with men apart from their husbands. With her unrelenting faith in herself, she not only broke into a tough male stronghold, but also ensured that other women did not have to go through the same grind and could study and practice law freely.